aluminum husk along the river autumn. where will this trip take us now? let’s run off into the trees. are you tired of the colours for one night? strong as an ocean but without the smell of brine. and web feet paddle for shore. you and I dream of visiting. put the camera down my love. the dog can be jealous and try to knock us over. and it’s mine you have…. more than just ‘words’ – i want you to soak in the sounds of voice. another 24 hours past shale rock or limestone. we have always been searching? use an easel and project your beauty onto the movie screen. now I’m 38 and it’s almost Halloween. We’ve entered the month of your birth. and explored our home province to death. my love – where do we go from here? and in my lifetime i want to grow older than Abraham. i would love to travel and discover what each continent has to offer. Learn the history – rather than hide from it. and the local map is worn out. speaking to us – saying there is more. before the November month of All Souls. and the church asks for us to be saints. lost corn fields and never more’s. let the malls grow from orange to green/red. Martin Durkin is pleased to announce he is part of a new 2016 anthology coming out later this Fall. 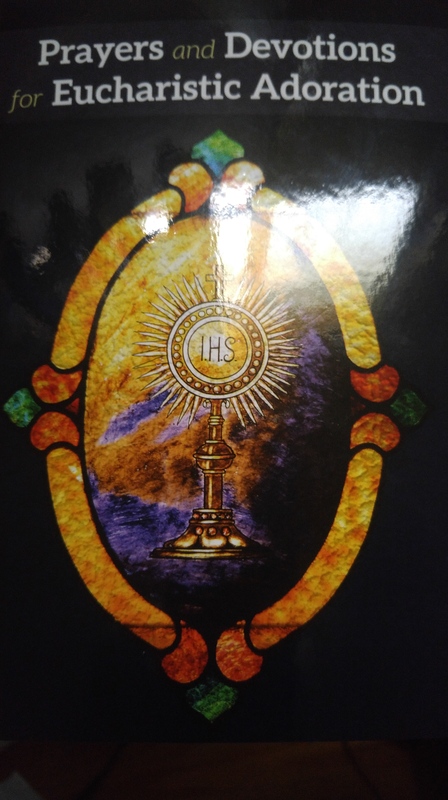 The book is entitled PRAYERS AND DEVOTIONS for EUCHARISTIC ADORATION. “These beautifully written and thoughtful prayers and reflections that speak to the Canadian experience will inspire your time in prayer before the Eucharist…” Novalis Publishing. The 80 page anthology will retail at $9.95 CND. A release date will be announced shortly…..